Cardinal Cabin Two is right below cabin one. The two rental cabins on Cardinal Drive Are built as mirror images, so their layout is the same/reversed. The snowmobile trail access is directly behind the cabin on primary 142. Headed east (down the hill) towards Route 3 will bring you to Back Lake, Young's Store, and the upper trail system. Head west up the hill and you will reach all points to the south. Ideal for groups of 6 or more, with 12 assorted beds you can bring a lot of friends! The snowmobile trail access is directly behind the cabin on primary 142. Headed North (down the hill) towards Route 3 will bring you to Back Lake, Young's Store, and the upper trail system. Head South up the hill and you will reach all points to the South. The local area has been working through the years to increase the ATV trails and access to them. Roads that are ATV accessible are clearly marked, so if it isn't marked, don't go on it :-). 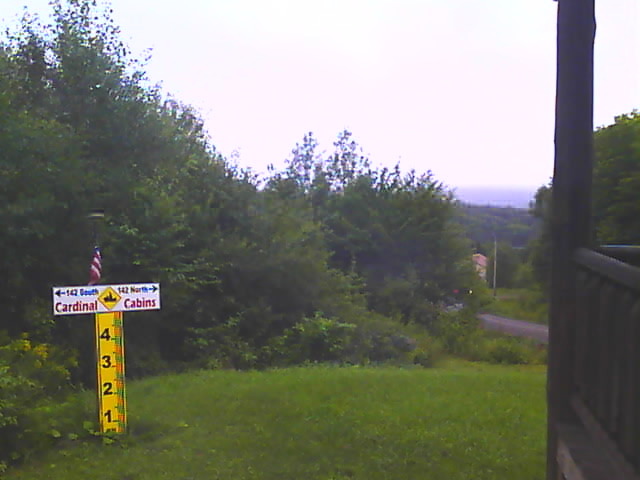 From the cabins, head up the hill on Cardinal Drive (do not go down the hill towards Rt 3.) go left on Hill Danforth Rd. then left on Fern Dr. At the end of Fern, you will cross Rt. 3 and go right on 142. Follow the signs from there to get to the trails. First and foremost, be safe, use good sense and have a great time. Wireless Internet is now available at the Cardinal Cabins. Internet service is provided through Fairpoint DSL.